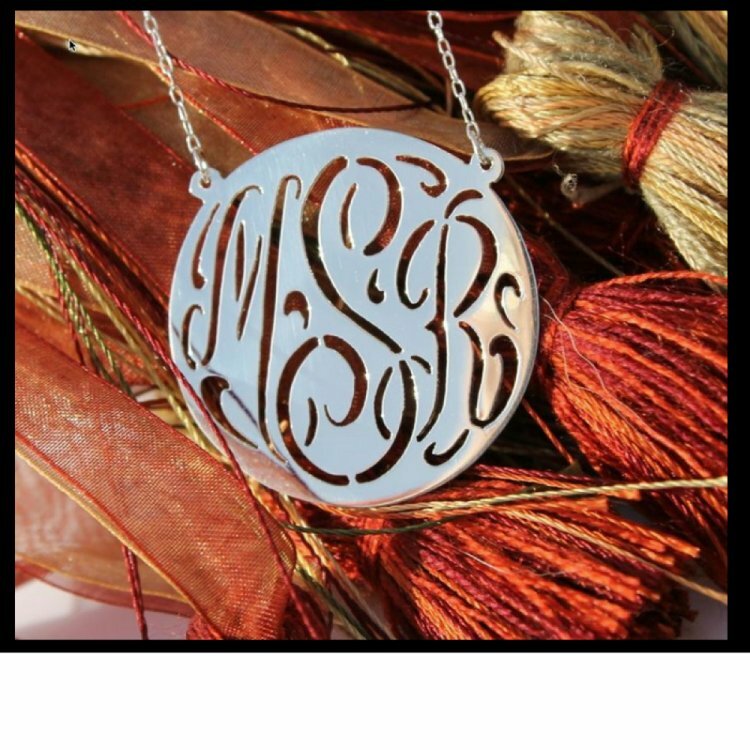 This 1.25 inch disc necklace has a unique hand pierced script monogram that will quickly become your favorite accessory. 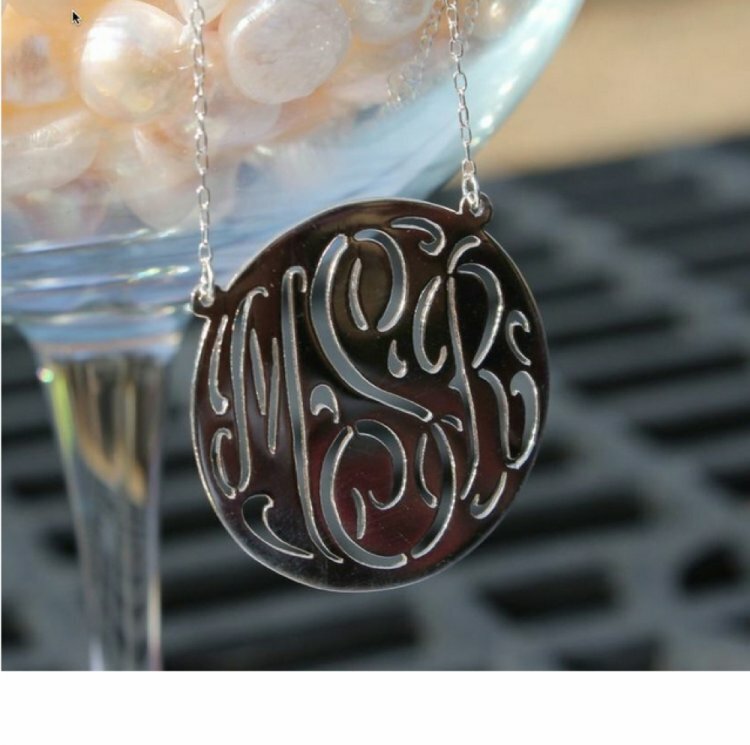 Your metal choices are sterling silver, rose or gold plated. Hangs beautifully from a split chain and comes in either 16 or 18 inches long. 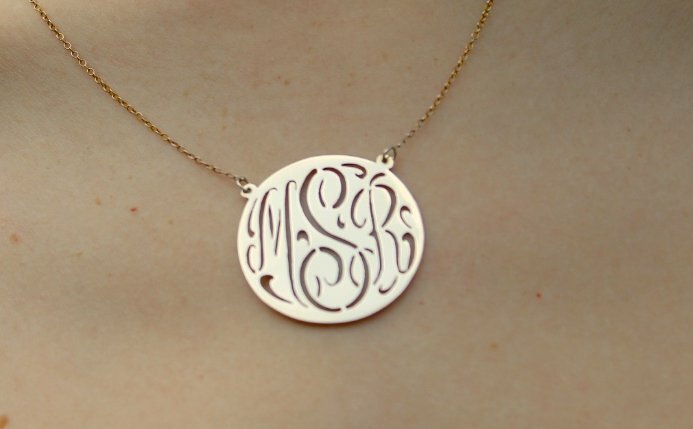 The disc can be made either with one or three initials. 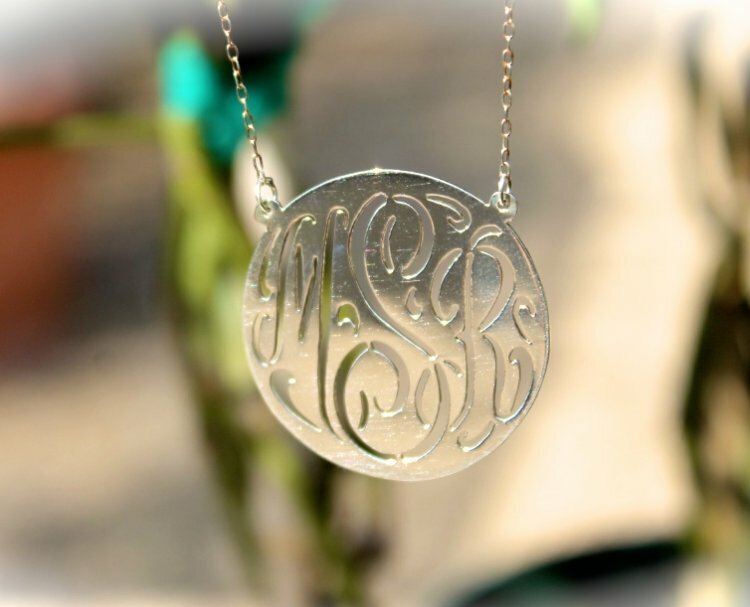 Your monogram will standout beautifully on this hand pierced script necklace. Price: $114.00 In stock! - Browse this brandOur products are custom made to your specifications. This product ships up to 3 weeks after your order is placed. 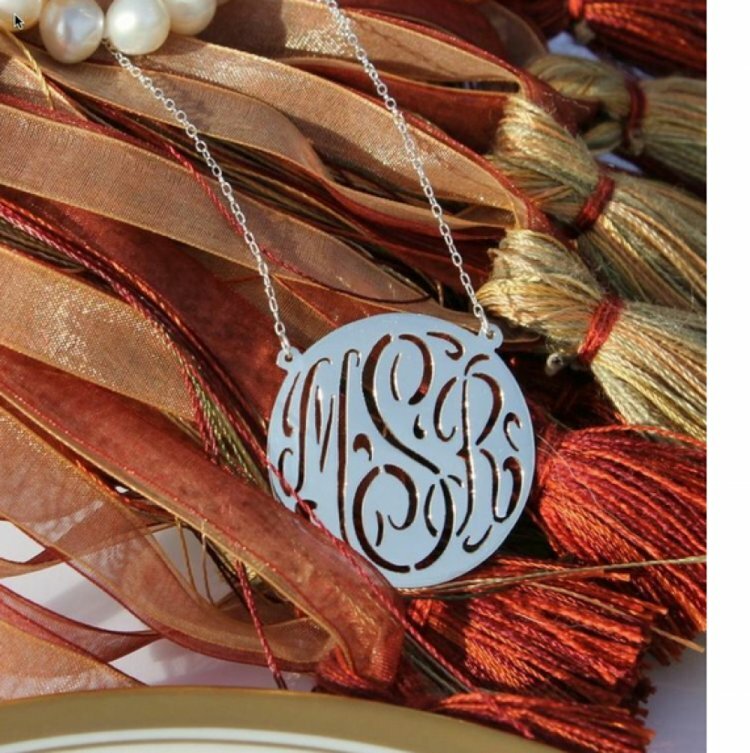 Choose your metal - this is only to choose the type of metal for your custom piece. All our gold plate and rose gold plate is done in 14 kt. gold plating. Prefer a heavier rollo chain? Upgrade here. This Upgrade is not available for Solid Gold.